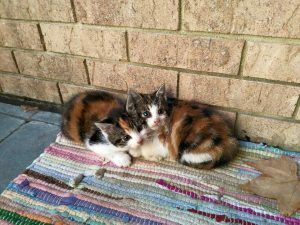 Cinnamon and Sugar were found on the doorstep of one of our volunteers home when they were just a few weeks old on a cold December day. The caring volunteer took them in to foster and socialize them. They saw our vet where they received vaccines, testing, spay surgeries and microchips. These two were especially bonded. 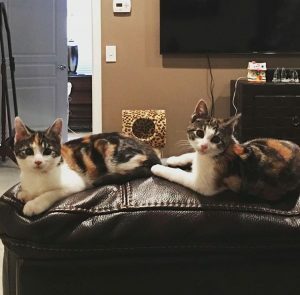 We were all ecstatic when they were adopted together to their forever home.